Who doesn’t love a well-choreographed anime? With their unique story lines, high quality styles, realism, backs of ethical quandaries and heart pumping battle scenes, anime series set us up for several hours of entertainment. Here is a list of the Best Anime Series of All Time (top TV / video series). In an environment covered with water, Luffy is on a mission to find the lost treasure (One Piece). Of course he is not the only one searching for it, every pirate in the globe is looking for it! 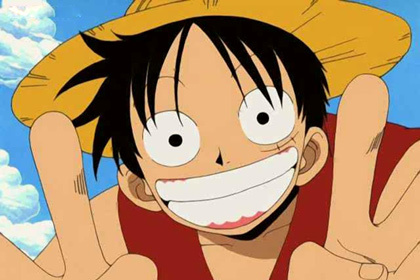 One piece is a dazzling adventure anime featuring duels with fun characters, supernatural powers and tones of pirates. It will definitely satisfy any action craving that you have. Before discovering a hidden power of a 9-tailed fox sealed within him, Naruto a problem student was never talented or popular as a ninja. And although his strength is majorly due to the nine-tailed fox, his real strong point is in his determination to be friends with everyone and to protect them from evils that threaten to destroy them. Will he succeed? Find out in this action packed anime. Gon grew up knowing that he was an orphan for a very long time. But one day he comes across an adventurer who tells him that his father, Ging was not only alive but was also a very famous hunter. Gon takes the hunter examination and sets out on a quest to locate his father. The series has great characters and scenes that will move you. It will have you biting your nails, crying and laughing! If you are doctor in a very reputable medical facility and you find yourself in a scenario where you are forced to choose between saving the mayor of the town and a dying orphan, who do you pick? Dr. Tenma decides to save the orphan which initially feels like a good choice. But what happens if the orphan you saved turns out to be a serial killer? Monster is not only an entertaining anime but also an informational piece on the value of life and the choices that we make. This list would not be complete without mentioning Knights of Sidonia. The action packed anime is set in the distant future. The remaining human beings survive in spaceships including the Sidonia. Even though it has lots of action scenes, it also features an interesting story with humor and character development. It is an intriguing watch that will keep you hooked to the very end.